“The Humane Society of the United States (HSUS) is the only organization with the nation’s leading experts on dogfighting, cockfighting, puppy mills and illegal animal cruelty. They provide law enforcement with a team of investigators; a fully equipped rescue response team; comprehensive shelter services for rescued animals; puppy mill and animal fighting tip lines; a $5,000 reward for the arrest of animal fighters and illegal puppy mill operators; a mobile forensic animal crimes lab; free law enforcement training on cruelty and fighting investigations; and the nation’s most extensive database of puppy mill operations and animal fighting suspects. We have a huge problem with an organization whose agenda is to legislate/regulate AGAINST ownership of animals for any reason, providing ANY training to our law enforcement officials to undoubtedly forward their agenda! Any animal training in Texas should come from the Texas Dept. of Agriculture! Bigger issue is they the Animal Rights Extremist/Terrorists have likely already infiltrated themselves into the Texas Department of Agriculture!!! 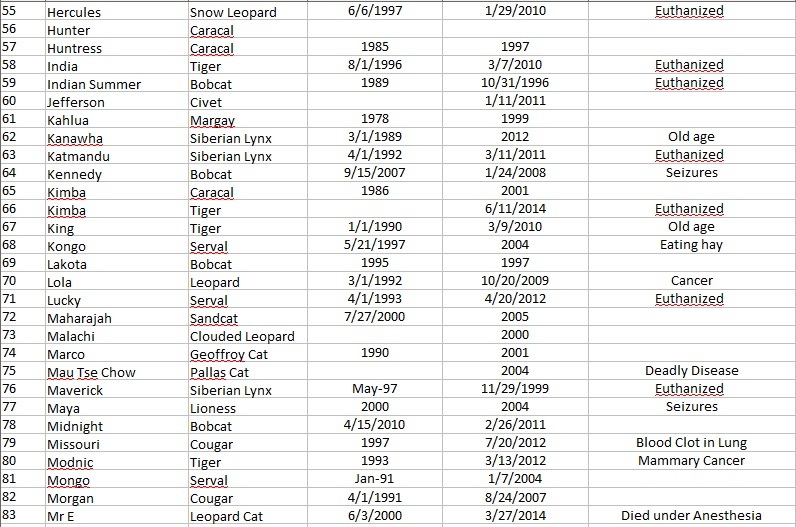 Now here’s the kicker for all you Big Cat Rescue Fans (I know you’re waiting for it and think I just made myself puke in my mouth a little)-This was posted in May 2011 by Big Cat Rescue on the website…Rockstars??? Holy Crap-Really??? On May 8, Wayne Pacelle and his fiancee, TV journalist Lisa Fletcher stopped by Big Cat Rescue as they were on the book signing circuit for his new book called, The Bond. At the age of 23 Wayne Pacelle was appointed as the Executive Director of The Fund for Animals and joined the Humane Society of the United States (HSUS) in 1994. Mike Markarian, previously of The Fund for Animals and now the president of the Humane Society Legislative Fund, had visited a while back and upon his recommendation several of the CEO’s of HSUS’s five sanctuaries have visited. Mike had urged Wayne to visit at his next opportunity because he felt that our goals of seeing no more big cats in cages were aligned with their philosophy. Throughout the tour Wayne kept exclaiming what wonderful work we were doing here. I was especially impressed with how he took the time to greet each of the staff and volunteers along the path and to thank them for their dedication. I have visited HSUS’s D.C. and Gaithersburg offices and have visited their sanctuaries in CA and TX and have been pleased to see the level of commitment in their staff and the way they are all working together to “Celebrate Animals and Confront Cruelty.” With 11 million supporters and an annual budget of 130 million, these people know how to do things right and there is much we can learn from them. Wayne Pacelle has played a role in the passage of more than 15 federal statutes to protect animals, including laws to ban the sale of videos depicting animal cruelty (1999), protect great apes in their native habitats (2000), halt interstate transport of fighting animals (2002), halt commerce in big cats for the pet trade (2003), and require government agencies to include pets in disaster planning (2006). 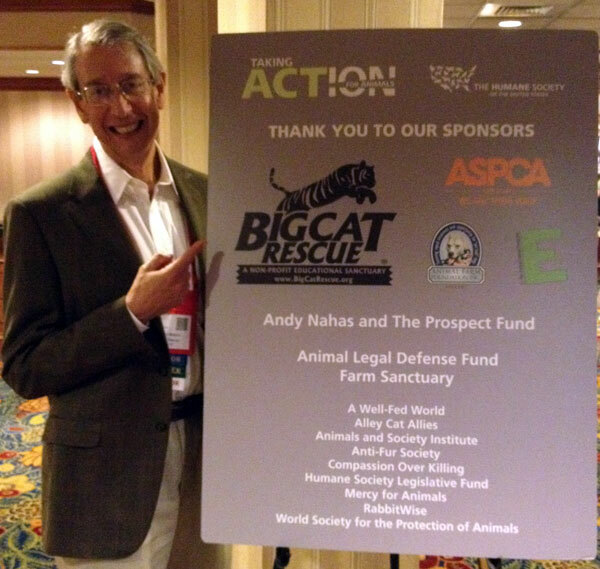 Through his leadership HSUS has been involved in 26 successful statewide ballot measure initiatives to protect animals, including measures to prohibit cockfighting, prohibit mourning dove hunting, restrict steel traps and certain poisons, and ban inhumane factory farming methods.He has also been instrumental in the passage of numerous state laws dealing with animal protection. Pacelle is a cofounder of the Humane Society Legislative Fund (HSLF), a 501(c)(4) social welfare organization that lobbies for animal welfare legislation and works to elect humane-minded candidates to public office. He also cofounded Humane USA, A strictly nonpartisan political action committee (PAC) that supports candidates of any political party based on their support for animal protection. I serve on the board of Humane USA with Mike and Wayne and am always looking for those who get the big picture and understand that the only way to end the abuse of big cats is through legislation. These two organizations have helped to defeat hostile anti-animal lawmakers in Congress, including Rep. Chris John of Louisiana (2004), Rep. Richard Pombo of California (2006), and Senator Conrad Burns of Montana (2006). Decent people don’t enable animal abuse, so even though our focus is on humane legislation, everyone benefits if our government is run by decent people...but I digress. It was wonderful to be able to introduce our beautiful sanctuary and even more beautiful people to these two men that I hold in such high esteem. Wayne’s visit followed another such opportunity that we had to share our refuge, training materials and our awesome support crew on May 2nd and 3rd. After delivering a couple of free webinars for GFAS, Patty asked if we would host their first in person 2 day Workshop. Howard Baskin presented on our fundraising streams and the history of Big Cat Rescue, Jeff Kremer presented on donor recognition while giving the group of 20+ attendees a tour, Chris Poole spoke on social marketing and networking, Patty Ragan shared the value of hiring a coach, Kari Bagnall illustrated how to get the most out of a tabling event, Patty Finch taught grant writing, teaching your board how to be helpful and how to avoid “founder’s syndrome” and I shared how we use google Apps, how we manage over 100 top notch volunteers, why it is important to have a plan and stick to it. I really enjoyed meeting the key people from so many of the world’s best sanctuaries and believe that this workshop was just the beginning of all the great work we can do to help all kinds of animals. Already the group has set up a collaborative group online where we can share ideas. Here is what a few others had to say about the experience. All of these people, from those leading multimillion dollar animal rescue organizations to those advocating for animal friendly lawmakers to those who are leading world class sanctuaries and those who are building strong coalitions of animal sanctuaries, are celebrities in their own right. There is even more celebrity news in the works so be sure to stay in touch with us so that you will be the first to know. 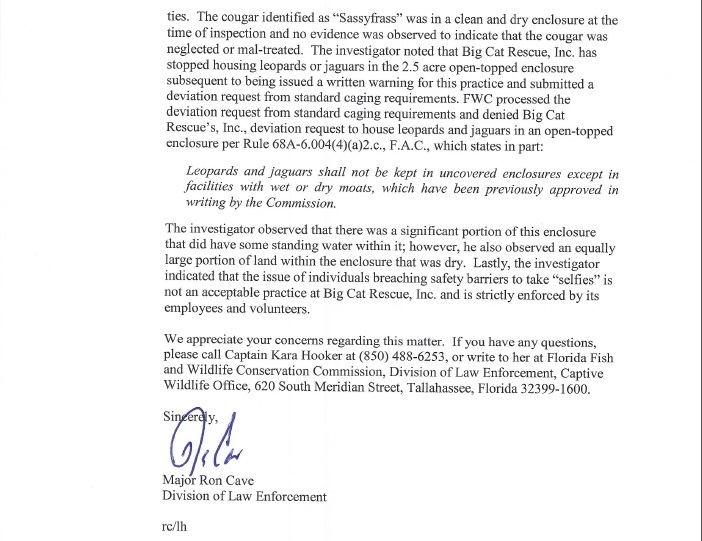 Big Cat Rescue promoting legislation yet can’t even work within the parameters of their own state and put a leopard out illegally in an open top enclosure. 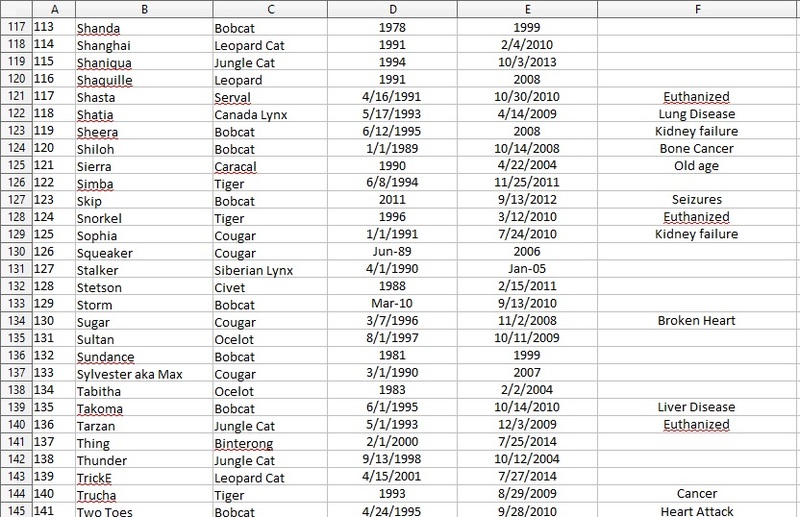 Big Cat Rescue who too is a multimillion dollar BUSINESS…bet you just puked in your mouth -just a little…Look at these salaries!!! 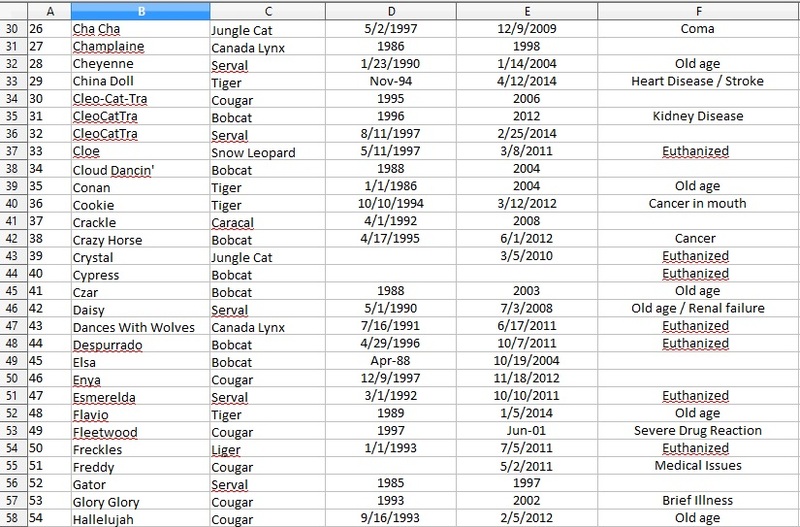 Look who is getting pai the BIG bucks because of your generous donations to Big Cat Rescue for ANIMAL CARE!!! 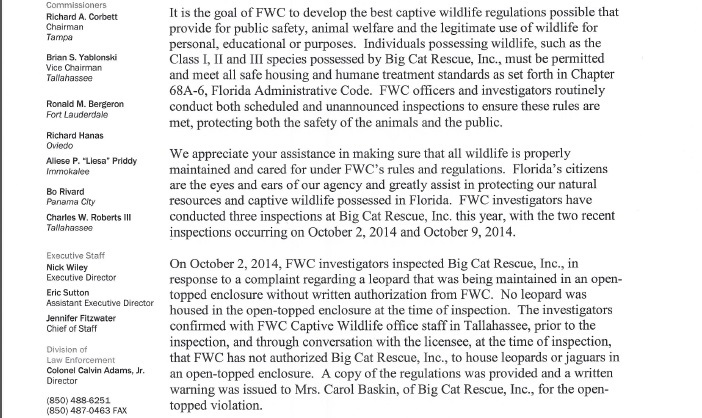 Big Cat Rescue is NOT considered a Florida sanctuary by FWC. Big Cat Rescue was DENIED the use of an open top cage for leopards although had been previously used as an enclosure for leopards on several occasions-Baskin only received a warning for defying the law and thumbing their nose at law enforcement. This is a rather sever violation of the Florida Law regarding the keeping of class 1 animals that put PEOPLE in harms way!!! 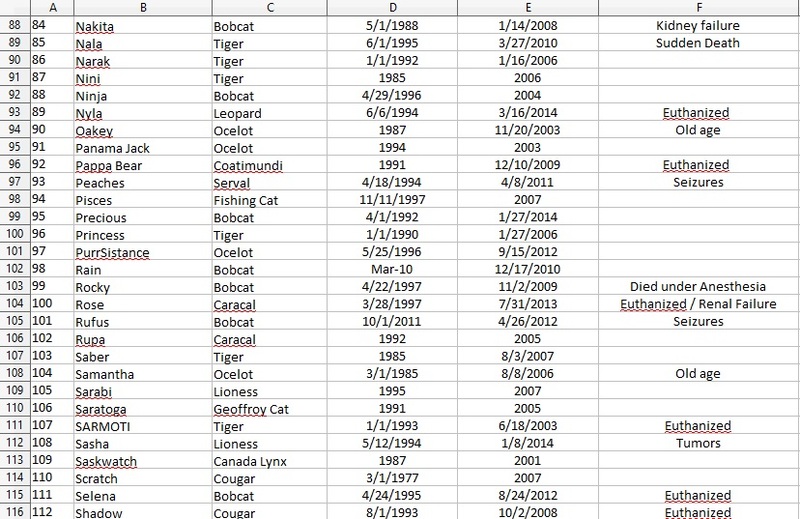 Big Cat Rescue who has and will continue to attack house cat ownership…That’s for ALL of you who own and love your house cats-it’s only a matter of time before they branch out beyond hybrid house cats-joined with ALDF-FAILED. They were denied and told that they are mean people. 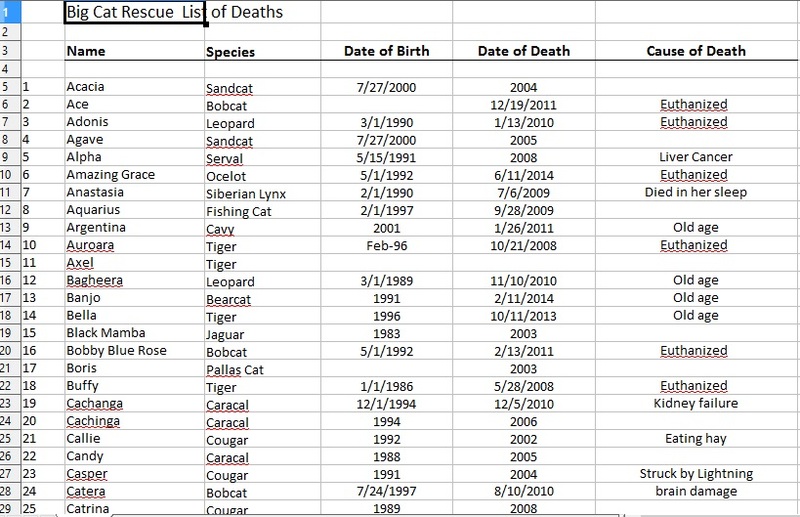 Bloggers note-this list is incomplete-it is also missing cause of death for numerous animals-Please see how many have been euthanized-with no reason provided!!! WHY is a multimillion dollar NFP organization keeping animals in such poor conditions?!? Located on an old landfill and allowing animals to come in harms way by allowing contact with the water from the old burrow pit for that landfill!?! -NOT cleared by the EPA for recreational use and defying public safety measures established by the EPA!!! ~ by topcatsroar on October 31, 2014. The national animal rights groups like the HSUS, PETA and the ASPCA have become urban concentrated vegan cults. They raise millions of dollars by pretending to take care of dogs and cats, then spend it on attacks on agriculture and hunting. Local shelters complain about their aggressive fund raising sucking up all the money, so animals go wanting. All three have concocted stories about animal abuse. They have little or no experience with the animals they claim to protect and either misconstrue legitimate animal husbandry or take isolated instances of animal cruelty and say they are the norm. They oppose hunting and rodeo. Their goal is to stop hunting by increments, passing laws against individual methods of hunting or shorten hunting seasons. They get away with this because of the urban population of the US is separated from its food production and large or wild animals. The country has become a society of small pet owners who view livestock the same as small lap dogs. If these groups have their way, primates will be viewed as human and meat eating will be outlawed. Their attack on food production is already causing an increase in cost. So unless you want to end up paying $10.00 a doz. for eggs, $20.00 a lb. for bacon $30.00 a lb. for chicken and $50.00 a lb. for beef, don’t support these groups.